This is a typical-sized south London garden located in the heart of Dulwich Village. The clients wanted to have a visually stunning but child-friendly garden and to build a studio at the end of it. I divided the garden in three sections using beech hedges, showing in these pictures just after planting in winter. It will look amazing once they've grown into lush dense hedges. This makes the garden more appealing for children who like to explore and hide. It also creates depth, making the garden look more interesting and deep. 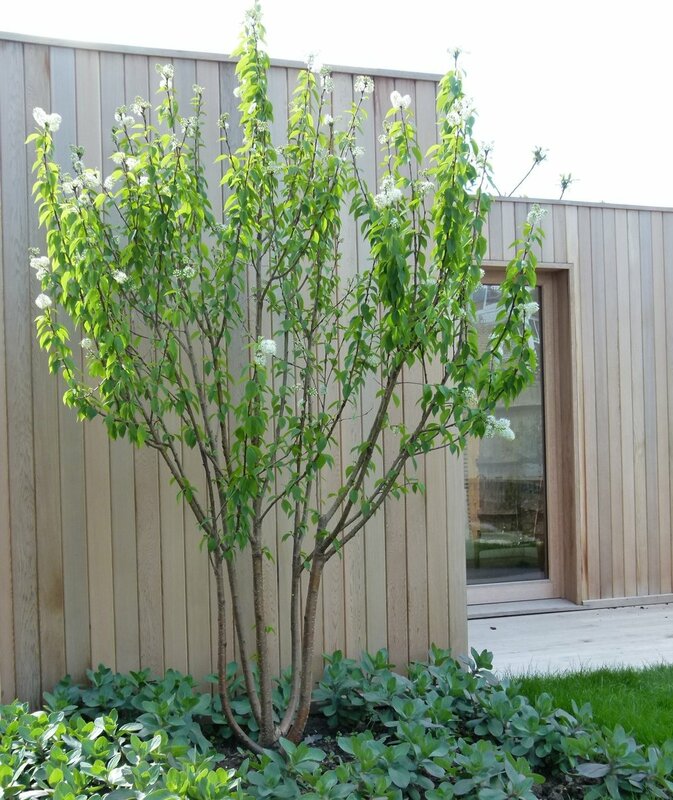 It helps with softening the garden studio and once again here I have used London Garden Studios who design and manufacture stunning contemporary garden studios. The middle section is covered with Breddon gravel, a surface I particularly like for its softness (and it reminds me of Petanque pitches that you see in villages in southern France). There are some logs, steps and a couple of chunky oak seats.